Author Cathy Maxwell's popular romance novels are appreciated for their proud, yet passionate heroines and strong, roguish heroes. Falling in Love Again is set amongst the castles and woodlands of 18th-century England. Born into wealthy family, heiress Mallory Edwards honorably marries John Barron to fulfill a family obligation. Although he seems charming at first, she soon discovers that he is a beast of a man. Abandoned on her wedding night, she survives by her wit and resourcefulness until her errant husband's debts became too much for her to overcome. Facing debtor's prison, Mallory won't rest until she finds John and nullifies their marriage. But he may not be the villain she believes him to be. 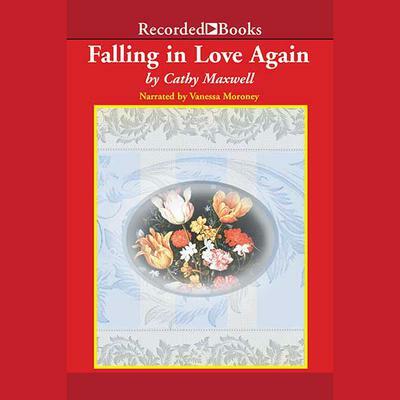 Author Cathy Maxwell has been a finalist for the prestigious RITA award from the Romance Writer's of America. Narrator Vanessa Moroney lends a special radiance to Maxwell's tale of bedlam and bliss.